Why is branding consistency important for signage? Signage represents your brand to your customers and is often the first contact they will have with you. If your business operates across a number of sites, stores or facilities, then your customers, staff and suppliers will value adherence to a set of brand standards. It makes your company look familiar, professional and builds trust. Let’s take a look at why branding is important, the benefits of branding and the outcomes of getting it wrong – and some approaches you can take to achieve consistency in your own stores’ signage. Having a strong brand can make your customers feel comfortable when they visit your stores. This is because it creates a sense of familiarity with the environment. It can make it easier for service to be provided to a common, consistent standard, and it makes the whole organisation look and feel more professional. Consumers prefer buying from brands they know. Purchasing is as much an emotional decision as it is a practical one. If your customers trust your brand, they are much more likely to buy from you. 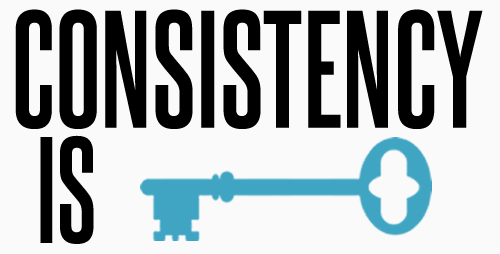 Consistency makes your brand feel dependable. People grow familiar with your company and get used to buying from your brand. Research on customer behaviour shows that people tend to prefer to stick with what they know – be that always buying the same brand of milk or the same brand of pen – and they build an association with companies in exactly the same way. When they know your values and buy into your brand, they will begin to trust your company and therefore be more likely to make a purchase. What’s more, that positive experience will encourage them to return time and time again – even to your other sites – because they know what to expect from your company. Consistent branding reinforces your greater brand strategy, underpins your values - such as quality, dependability and performance – and brings customers back to your stores again and again. What if branding is not consistent? Branding is not without its problems: The larger your network of customers and suppliers is, and the further their geographic spread, the harder it becomes to achieve a consistent look and feel. This disconnect in brand recognition for customers, staff and suppliers erodes the brand equity you have built up through investment in marketing spend over years of hard work. A lack of brand consistency can be harmful to business because of the fact that branding builds trust. Every interaction with customers helps them to get to know your company. The customer journey starts from the moment they first become aware of your company and continues as they travel to your store and find a place to park – all the way through to selecting their products and going through the checkouts. Every bit of point of sale material they see on the way must consistently reflect your cultural values by being branded consistently or it could negatively affect the customer experience. How can you improve branding consistency? The first step is to create a set of brand guidelines. You can do this yourself, or for the best results you can hire an expert branding consultancy. Branding is more than just a logo – it is about colour schemes, the size and positions of internal and external signage, the way products are promoted… Every aspect of the customer experience is informed by or affects your overall brand image. Once you have established clear guidance on how your branding will work, you have a few options. You can either relinquish control to individual site managers and encourage them to apply the branding to their own site. This carries some risks, in that it introduces a level of subjectivity in the way the branding is applied and some store managers may feel that they need to adopt slightly different rules to suit their own preferences. While some flexibility should be retained to allow for local factors, this must not be to the detriment of the overall look and feel. Alternatively, you could have a centralised branding team that works out of your head office and goes around each store to apply brand guidelines. This has the benefit of consistency and ensures that decision-making is done to the same criteria but on the other hand, it makes the process of rebranding extremely slow, or extremely labour-intensive and costly – especially if your stores cover a large geographic footprint. A third way is to mix the two approaches. If you take the time to develop an extremely thorough set of brand guidelines in conjunction with a branding expert, then the need for local interpretation is drastically reduced. You can then use a centralised branding team to work on a few “champion sites” in order to demonstrate best-practice and then delegate branding to store managers. They are able to visit or refer to these locations if anything is unclear or open to interpretation. You can utilise your branding team to visit each location over time, and ensure that any drop in standards is identified and resolved quickly, as the biggest risk with branding is entropy: the gradual deterioration of consistency that begins the moment the branding is applied. So why is branding consistency so important for your signage? The main reason is that signage shows off your brand to your customers. You never get a second chance to make a first impression, and your signage is most often the first contact they will have with your company. Especially for businesses that operate across a number of sites, stores or facilities, branding is crucial for a consistent customer experience. 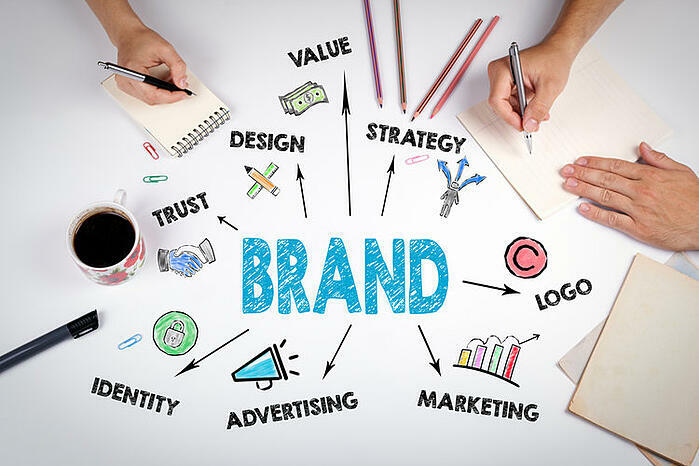 There are many approaches to developing and implementing branding, and the best one depends upon the nature of your business and its geographical spread. But get branding right and your customers, staff and suppliers will value a strong brand that makes your company look familiar, professional and builds their trust.